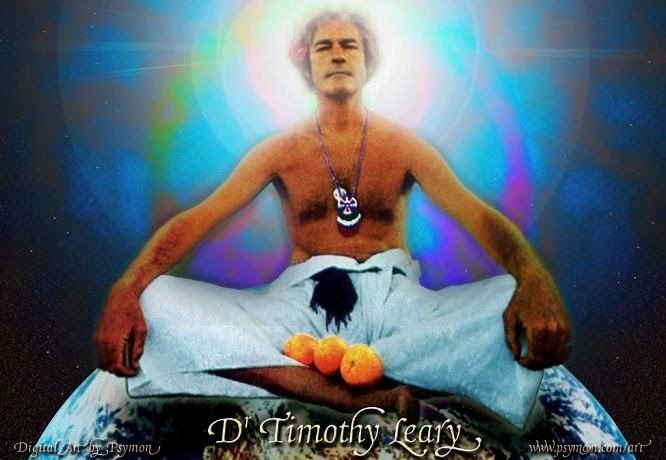 Timothy Francis Leary was born is Springfield, Massachusetts in 1920. He attended West Point in the early '40s (where he didn't exactly fit in) and then served in the military during WWII. He earned his PhD in psychology from U.C. Berkeley and taught there briefly but moved to Harvard after his first wife's death. He first took psilocybin mushrooms in 1960 during a trip to Mexico. When he returned to Harvard he began the Harvard Psilocybin Project, studying the effects of psilocybin on humans. As part of the project he, along with Richard Alpert and Ralph Metzner, gave psilocybin to a series of volunteers including Allen Ginsberg, Jack Kerouac, Neal Cassady, and Arthur Koestler, among others. In 1962 Leary was introduced to LSD for the first time by Michael Hollingshead. He had what he later described as "the most shattering experience of his life". 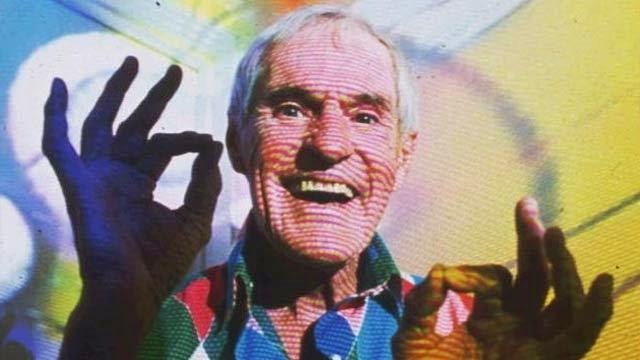 Leary became a spokesman for LSD and the psychedelic movement, encouraging people to "turn on, tune in, and drop out". In 1963, he and Richard Alpert were fired from their positions at Harvard after which they both lived at Millbrook for a time. At Milbrook they continued to work with psychedelics both therapeutically and recreationally...with the occasional help of Allen Ginsberg, Jack Kerouac, William Burroughs, Abbie Hoffman and Aldous Huxley. In 1965, while crossing into the U.S. from Mexico, Leary's daughter was caught with marijuana. Leary took responsibility, was convicted of marijuana possession under the Marijuana Tax Act and sentenced to 30 years in prison. He appealed the case based on the argument that the Marijuana Tax Act required self-incrimination in order to comply with it, and therefore was unconstitutional. In 1969, the U.S. Supreme Court agreed with him, declaring the Marijuana Tax Act unconstitutional and overturning his conviction. In 1970, Leary was convicted once again of marijuana possession and sentenced to 10 years in prison. He escaped from the minimum security prison and fled with his wife to Algeria and then Switzerland. In 1973 he was arrested by DEA agents in Afghanistan and returned to prison in California. He served three years before being parolled 1976. 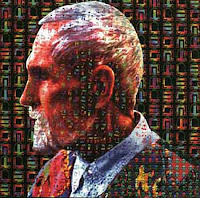 Leary became interested in virtual reality and cyberculture and spent the last twenty years of his life writing and lecturing. He worked with a group of friends to document his own process of dying from prostate cancer. He died quietly in his own bed, surrounded by friends, and on Feb 9 1997, a portion of Leary's cremated remains were launched into space.